Great party buses and limousines from NJ Limo. We are New Jersey's leading luxury vehicle service. With a fleet of fully-loaded limousines and party buses at the most competitive rates in the region, we are the clear choice for your next celebration occasion. Call us today to get started! The Finest Luxury Vehicles in New Jersey! Whether you're celebrating with a group of 5 or 35, Jersey Party Bus is guaranteed to have a perfect luxury vehicle to help make your event unforgettable! It's no secret that Jersey Limo has the most exciting vehicles of any local company! We've built up our fleet over all these successful years of business and we continually add brand new vehicles that suit our customers so well. We serve all types of events, including weddings, bachelor parties, bachelorette parties, birthday parties, anniversary parties, sweet 16 parties, proms, homecoming, sporting events, concerts, and so much more. You can rest assured knowing that we have the ultimate vehicles at the best prices, and we're always ready to do business with you, even at the last minute! We know that our customers come from every income demographic and we absolutely want you to know that we make your dollar go as far as it can, no matter what kind of budget you're working with. We know that you work hard for your money and that no one likes to waste their hard earned cash! Some customers are on a tighter budget than others and ask us how we can help them shave off some money here and there, and we'll suggest booking on a weekday versus weekends or at off-peak times of the year when our business is slower. Others want to glam it up to the max and want to know how to maximize their party potential. No matter what you need or what you've got in mind, rest assured knowing that we will help achieve it for you. What's nice is that in any case, you can get a totally free no-obligation price quote with just a quick phone call. You do not have to provide any personally identifiable information in order to get that price quote and you're under no obligation to do business with us at any point. If you like the price, you can lock down your vehicle and date of service by putting down a credit card deposit quickly and easily over the phone, or you're welcome to come down to our place of business to pay by check or money order, at which time you can also take an in-person tour of our vehicles if you so choose! Our experts here on staff really know how to choose the ideal vehicles for you if you don't have the time to do that, but we love it when you can come and admire them in person. We're very proud of our vehicles! Something else we're really proud of is our chauffeurs. These are true professionals in every sense of the word. They are already well trained when they come into our employ, but we offer them additional training just to make sure that they are up to our high standards. They're drug tested and background checked before becoming a part of our team and then we continually check and test them as their employment continues with us. Your safety and security on the road is our number one priority. Best of all, they know our local roads like the back of their hand. GPS has nothing on them! They know even the most obscure locations and they're happy to take you anywhere you want to go! Are you ready to speak with us about renting a vehicle? Give us a call tonight! Do you rent for high school proms? 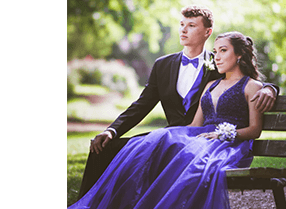 At Jersey Limo, we understand that proms and homecoming dances are among the most memorable events of a teen's life. That's why we're happy to provide our luxury vehicle services to make these occasions all the more unforgettable. To book one of our limos or party buses for your prom, simply call and speak to one of our helpful reservation specialists. They will walk you through the entire booking process and ensure that you find the ideal vehicle to make your prom night magnificent!